In kitchen cabinet ideas, you might be confused and you need a guide for kindling. The parameters you should focus are being very helpful to solve the snafu: Your kitchen layout, your target functionality, your material, your color and model selection, and your cabinet hardware are to be concerned. Of course the budget is the very strong indicator to make your dream kitchen by using kitchen cabinet ideas. Then, as I mentioned in my countertop article, wall color, granite top color, backsplash and floor color are harmonized. When you look for the kitchen cabinet ideas, kitchen layout determines your cost. From the cheapest to the most expensive layouts are: Single, Galley, L shaped, U shaped and G shaped. Island is also an additional. Base cabinets and Wall cabinets are used for to carry the best way of functionality. Built-in Cabinets are novelty this year. You may pick up the option of organizational cabinets, workstation cabinets and decorative cabinets to make your dream cabinet true. Organizational cabinets are: base pullouts, wall pullouts, trimmable trays, and adjustable shelves. Workstation cabinets can be categorized as: Hood cabinets, pull out shelf trays, wine shelf, wall shelf, microwave wall cabinet and corner appliance garage. Decorative cabinet options are: Crown molding, valance, fluted filler, corbel, foot and mullion doors. Picture Credit: Powell Construction. Amazing wall cabinet design, From the glass door cabinet to the cook shelf… All the possible combinations gather with a nice touch .I especially put five stars to hook hutch and moldings. Well done job! In these days, in kitchen cabinet ideas, material selection varies. The most popular one is the wood cabinet in kitchen remodeling process. If you think about the “ all wood”, it is furniture grade plywood. Stainless steel cabinets are out of style. Thermofoil cabinets have high end looking with low cost and can compete with wood cabinets. Picture Credit: Kitchen Cabinet Kings . Wood cabinets are very popular , especially like an artisan piece like this. Kraftmaid Cabinetry colors and stains are great! Very well done job. Typical kitchen needs in between twenty to fourty pulls and knobs. It also matter the cost. These little addition should perfectly matches with the color and model selection. 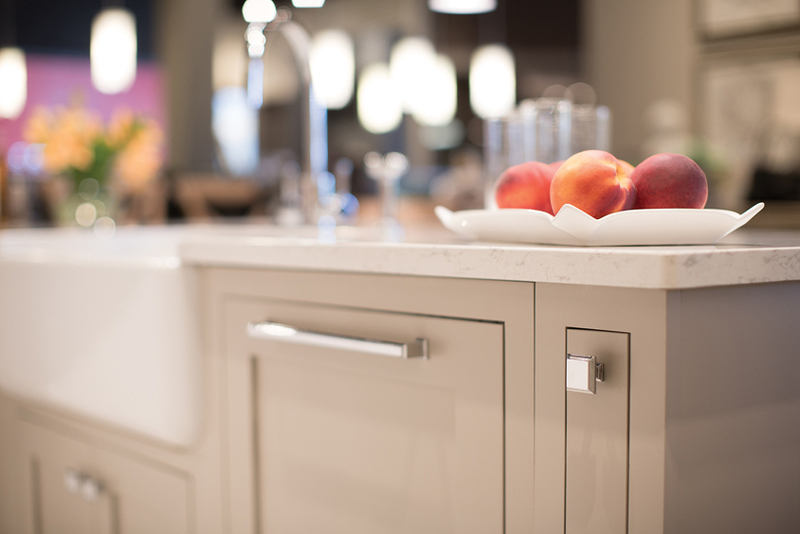 Do not like the pulls that won’t fit your kitchen style!